My work in the slate quarries of North Wales has taken me on an incredible journey; the landscape, which has been altered through human endeavor, is spectacular. 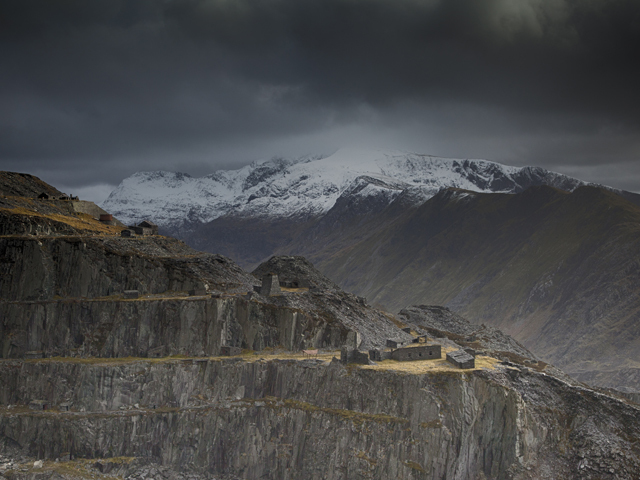 Dinorwig quarry above Llanberis was once the world’s largest quarry, to wander around Dinorwig in the middle of winter is inspirational; the scale of the quarry takes my breath away. I have the first two elements all around me. It’s possible to get a great picture even if the subject is not great, or the composition is weak. If the light is perfect. However if the subject is very good, with a strong composition, but the light is poor, your picture will be poor. For a great picture you need great light. My challenge has been to search for this light.